Clinical trials for autism have helped improve the diagnostic efficiency and applied treatments for both adults and children living with this medical condition. The latest autism clinical studies have been measuring the effectiveness of available drug therapies, applied behavioral treatment, and various combined methods. Groundbreaking research into autism has looked beyond treating surface symptoms to determine how stem cells could be used to treat chronic conditions like this one. By choosing to enroll in a autism clinical trial, every participant is helping to advance the quality of healthcare that is provided to others with this disease. Patients may also gain access to experimental treatments/therapies that are not available anywhere else in the world. If the more conventional treatments for autism have proven ineffective, then participating in a clinical trial can be a viable option worth considering. Autism, also known as autism spectrum disorder (ASD), is a general term that’s used to describe a group of complex brain development disorders. The disorders are categorized by varying difficulties in social interaction, repetitive behaviors, and verbal/nonverbal communication. Up until recently, the various autistic disorders had been recognized as unique subtypes (childhood disintegrative disorder, pervasive developmental disorder, Asperger syndrome, and autistic disorder). As of 2013, they have all been combined under one general diagnosis of ASD. Autism has been linked to issues with motor coordination, intellectual disability, and various physical health problems like gastrointestinal and sleep disorders. At the same time, some people who have been diagnosed with autism possess extraordinary talent for mathematics, music, art, and other visual skills. This disorder develops at the very start of an individual’s brain development. Although, most tell-tale autistic symptoms don’t manifest until a child is between 2 to 3 years of age. Foundations like Autism Speaks and the Autism Society help fund research to find better methods of diagnosis at an earlier stage. Increased awareness of autism helps provide more funding for this research, as well as families affected by this disorder. Studies show that early intervention with applied behavioral therapy can significantly improve long-term outcomes for autistic patients. These interventions could be comprised of behavioral treatments, medications, or both. Many autistic patients struggle with other conditions such as seizures, sleep disorders, and gastrointestinal distress. Effectively addressing these underlying problems can improve a patient’s ability to learn and communicate. Intensive behavioral therapy will involve the entire family during the earliest stages. They’ll work with a whole team of experts to treat an autistic child. In some cases, therapists will choose to deliver their services (such as parent training) at the family’s home. Some therapy sessions may be lead by the parents under the careful supervision of their therapist. 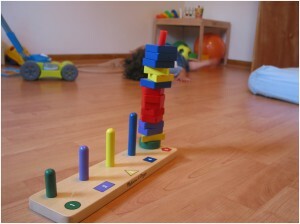 Other autism programs can be based out of classrooms, preschools, and specialized centers.